Okay, so nothing is really ‘hack-proof’. Hackers are always finding new ways to breach your computer or network firewall and most of their access points are through user-created weaknesses. This article looks at several things you can do to improve the security of your firewall, and at least reduce the likelihood of it being breached. A firewall is a security system that controls the incoming and outgoing traffic to a computer or network, using an applied rule set. It creates a barrier between your computer or network, which is trusted and secure, and the Internet, which is assumed not to be secure. A firewall can be a software solution or part of a hardware appliance such as a router and according to its rule set, it will allow certain data traffic to pass through its gateway and will block and remove other data that it recognises as a potential threat. 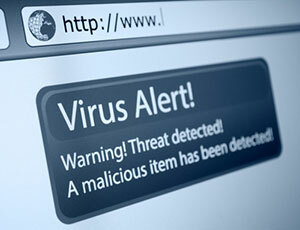 Viruses – a virus is malicious code that attaches itself to a program or file, allowing it to spread from one computer to another and leaving damaging infections in its wake. Worms – a worm is malware that replicates itself in order to spread to other computers. Unlike a virus, it doesn’t need to attach itself to an existing program, but takes advantage of a system’s file or information transport features to travel unaided. Trojan horses – unlike a virus or worm, a Trojan horse does not reproduce by infecting other files or self-replicating. It is a program in which malicious code is hidden inside what is apparently harmless or even useful programming or data. Once installed, it can damage your system and even create a backdoor for its author to steal or compromise your sensitive information. 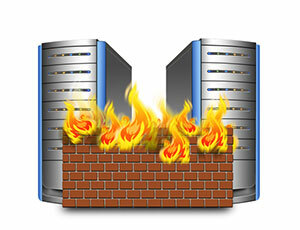 How can you strengthen your firewall? There are some basic rules related to computer security that also apply to firewalls and failing to observe these rules can leave your system exposed to threats of attack. Update – this is something we all know we should, but don’t always remember or bother to do. Whether it’s your anti-virus software or the latest version of your operating system or browser, you should always have the latest version installed. This is because new types of threats are emerging every day and the latest update is more likely to include protection against these threats. Enable – operating systems and software programs often come with useful add-ons that can add another layer of security. Things like pop-up blockers, spyware blockers, spam blockers and anti-virus software should all be enabled if they are available or purchased and installed if they are not. A common problem with programs such as pop-up blockers is that users may disable them if they cause inconvenience, which creates yet another way for malware to enter the system. Restrict – ports are the access points by which programs in your system connect with the Internet. Hackers use port scanning tools to look for computers with open ports that might provide them with a backdoor into their systems. Adjusting your settings to restrict port access only to those programs that need it and only when required will reduce the likelihood of hackers gaining entry to your system in this way. Protect – passwords are the obvious first line of defence in any security system and are one of the biggest areas where users leave themselves unnecessarily exposed. Passwords need to be strong, unique and changed regularly to be effective and you should never use the same password for several different accounts. WiFi networks are also an easy access point for hackers and should be protected with the latest encryption keys. Monitor – whenever you install a new program or change your settings, you risk making your system vulnerable, possibly without even realising. That’s why you should periodically test your firewall to ensure it is doing what it is supposed to do. Free online firewall leak tests include GKweb’s Firewall Leak Tester and Gibson Research Corporation’s LeakTest and free port scanners that will tell you the status of your ports include Microsoft’s Port Reporter Tool, Sygate’s Online Scan and Planet Security’s Firewall-Check. Observing these rules may not keep a determined and experienced hacker out of your system. But what it will do is to make your system less visible to the thousands of inexperienced and opportunistic intruders out there who spend their time trolling for connections where, for whatever reason, the backdoor is slightly ajar.